Liquid Metallic Lipsticks from Klarity Kosmetics, a black-owned, indie brand. For reviews and swatches of the 'Diva' and 'Pacific' Liquid Metallic Lipsticks, then read this article. It's been awhile since I did a review and swatch post, so that's what I'm going to be doing today. 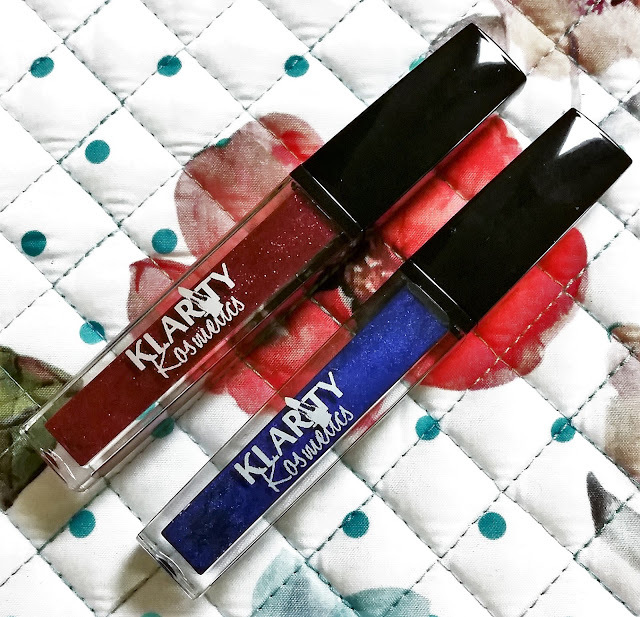 The products I have are the Liquid Metallic Lipsticks from Klarity Kosmetics, which is an indie brand that has been on my blog before. I already tried out one of their highlighters, the Kolour Explosion Rainbow Highlighter, so I went back and got a couple of their lipsticks during a sale. These lipsticks are some of their older releases (which I know they're discontinuing some of those shades), but they have recently put out some new ones that I'm currently looking into getting. I know that I've shown bits from different brands of different price ranges, but the types of products I like to review are normally indie or from small businesses because they generally market to more niche groups and so the stuff they put out is more unique and crazy, which is what I like; corporations are starting to catch up, but it's a slow process. The shades that I have today are Pacific and Diva, which like I've said already, are a metallic finish. 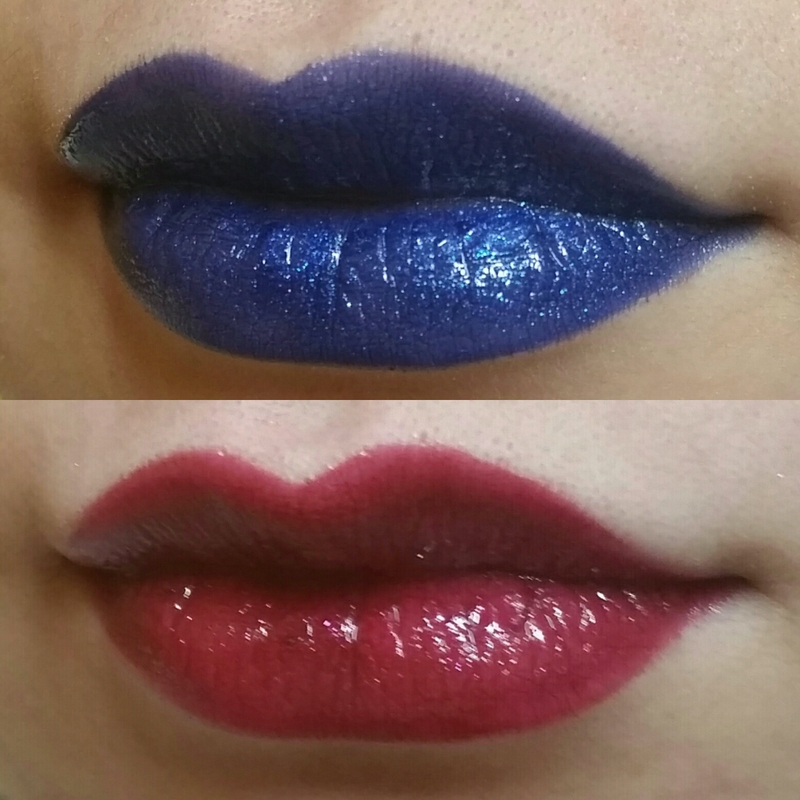 Metallic lipstick is one of my favorite kinds of makeup and I've tried enough different types to know the different variations within this sub-category of makeup. When it comes to metallic lipstick, there's mostly your shiny metallics and glittery/shimmery metallics. A shiny metallic is just a very shiny, reflective surface with no visible glitter (e.g. Amore Mattatalic Lip Cremes by Milani). These particular lipsticks are more a glittery metallic where a lot of the shine is coming from a combination of glitter and a glossy, non-matte finish (i.e. not a liquid to matte formula). Formula-wise, I'd say they're similar to the lip tars from Obsessive Compulsive Cosmetics but runnier. Pacific (top) with two coats and Diva (bottom) with one coat. In terms of their finish, Pacific and Diva are different in how metallic they look when compared to each other. Diva, which is a dark berry red shade, is not really all that metallic. I'm pretty sure it's supposed to be a metallic because it has a lot of glitter in the bottle, but it doesn't look metallic when applied. Diva has larger specks of glitter in the bottle compared to Pacific, but it's sparse on the lips so you're only getting a sparkle. The color payoff and coverage are great though, you only need one coat. On the other hand, Pacific is a pretty, cobalt blue shade that has very fine glitter and is definitely a lot more metallic looking than Diva when applied. It has pigment, but you need two coats for full coverage. However, too much of this product on the lips can lead to the lipstick migrating outward and sinking into the fine lines around the mouth, which you can see in the swatch picture where I used two coats all over the lips. It may not seem apparent at first, but if you zoom in on the picture, you can see where Pacific has sunk into the lines around my mouth. I personally would not wear this lipstick by itself without something controlling the bleeding. As far as the application goes, Diva can be worn itself. I didn't encounter any noticeable bleeding with that shade, but Pacific definitely requires some additional steps for wear. 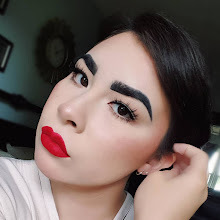 I definitely recommend a lip liner on the perimeter or all over the lips to make it look more opaque. If you're just lining the lips, then I would do a thinner lipstick application over the liner and use more product towards the center. I did find that setting the outer perimeter of the mouth with powder helps IMMENSELY with controlling the bleeding. Overall, they're not amazing for metallic lipsticks, but they're not bad. Personally, my priority is pigment and color. If it has that, I can make it work.